Equitrekking’s Emmy nominated host Darley Newman explores the Cooley Peninsula, Donegal, Connemara and Galway on horseback in Equitrekking Coastal Ireland. On the Cooley Peninsula, local Niall Connolly takes Equitrekking’s Darley Newman through Ravensdale Forest to discover ancient stone circles and a scenic spot where you can see eight out of the thirty-two Irish counties. Darley visits castles in the medieval town of Carlingford and an ancient burial tomb. Next Darley travels to the Northwest to Donegal, where she canters along the wide sandy beaches outside of Bundoran, a top European surfing area. Darley takes a surf lesson in the chilly waters of the Atlantic Ocean. Viewers learn about the history of conflict in Ireland on a ride on an old smuggler’s road. 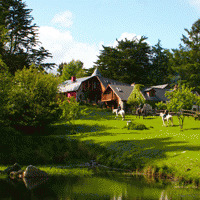 In Connemara, Darley meets up with Willie Leahy, a well-known breeder of Connemara Ponies, and watches herds of ponies run amid the lush green fields of the Dartfield Horse Museum. With local Siobhan Reynolds, Darley rides over a sand bridge to the remote Omey Island, a tidal island. Darley and Siobhan must keep an eye on the time, as twice a day, water swallows the sand bridge home. In the 7th century Saint Feichin, who is known for spreading Christianity throughout Western Ireland and was believed by many to have healing abilities, established a monastery on Omey Island. Darley takes viewers to visit ancient sights and makes an offering at the island's holy well.